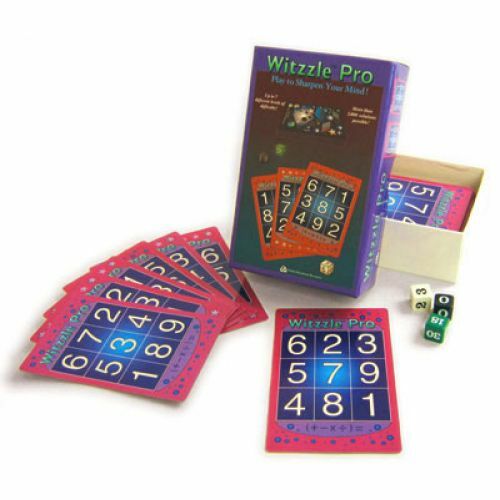 Play to sharpen your mind with the Witzzle Pro math card game. Single, group or family play, any number of players. Enhance problem solving skills (addititon, subtraction, multiplication, division, positive and negative numbers and order of operations). Play to learn and learn as you play. Great for math night and math contests. Enjoy up to 7 different levels of difficulty with more than 2,000 possible solutions. Includes 40 cards, 3 number cubes and instructions. Ages 6 and up.